On the 12th of April 2015, a devastating earthquake hit Nepal, including its capital Kathmandu, demolishing half a million buildings, killing 8.800 and injuring over 16.000 people. With most of the terrestrial communication infrastructure destroyed, the research and education network of Nepal, NREN, participated in the relief work by setting up emergency wireless networks at a number of hospitals treating earthquake victims. Network engineers installed purpose built DUMBO (Digital Ubiquitous Mobile Broadband OLSR) routers, provided by IntERLab at The Asian Institute of Technology, Thailand. DUMBO is designed for rapid deployment in post-disaster emergency conditions to aid the work of rescue workers. It either establishes a self-contained network in a specific area or can be interfaced with remaining networking infrastructure, e.g. satellite, Internet or 3G. DUMBO allows transmission of streaming video, voice and text messages. NREN network engineer Dibya Khatiwada vividly explains the situation – and how the research and education network responded. “After we were hit by the devastating earthquake in Nepal everything was shattered. People lost lives, many lost their homes and some lost almost everything they had earned over the years. Bringing the situation to normal and waving up your helping hands for rehabilitation was quite challenging. “The next very day we started teaming up with our friends and we were looking out for areas to help. I got an email from my ex-teammates at IntERLab about deploying the DUMBOs to aid for a disaster recovery situation. 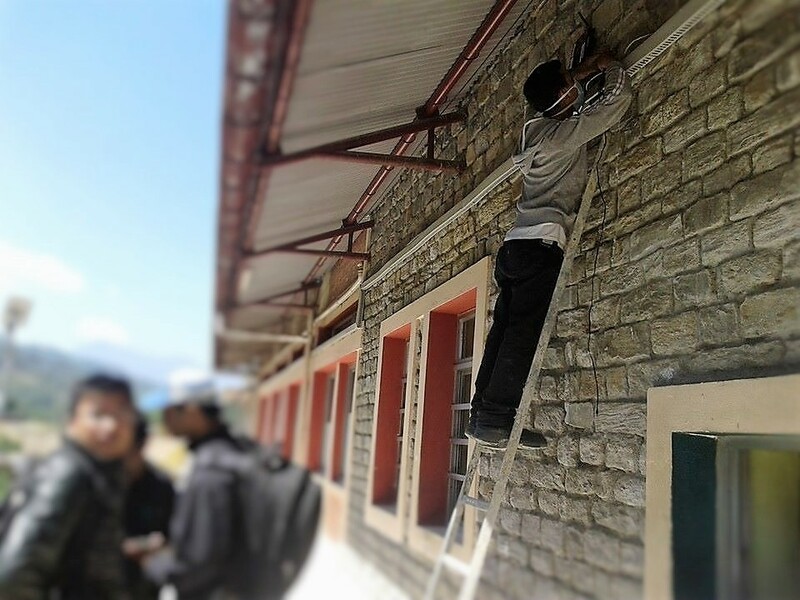 “We planned to deploy 10 set of DUMBO routers at Dhulikhel Hospital which is 25kms away from the capital city – Kathmandu. Dhulikhel hospital is a community hospital which received patients from many nearby districts as well. “DUMBO routers which used SIP were the best option to make phone calls within the hospital periphery. Since we had a limited amount of equipment we had to choose locations carefully to place the routers and fine tune them in order to make them work with maximum efficiency. “We then planned to visit Gauri Shankar General Hospital of Dolakha district which was situated about 150 kms away from the Kathmandu. We did the motorcycle ride to get there. It was a small community hospital as was in remote areas of severely affected district. “The hospital was full of patients where a doctor and 7-8 nurses were serving every one of them. Mobile phones were just a toy in their hand – no signals, no communication possible. This is a shortened version. For the full story please go to: http://dumbo-isif.interlab.ait.asia/nepal.